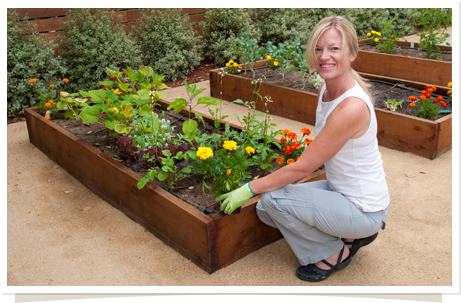 Here at Living Earth, we're very passionate about gardening, recycling and composting. For over 20 years we've crafted our amazing compost and helped recycle well over a million tonnes of New Zealand’s organic waste! That's a lot of great gardens, healthy crops and exciting city green areas that Living Earth has helped to grow. 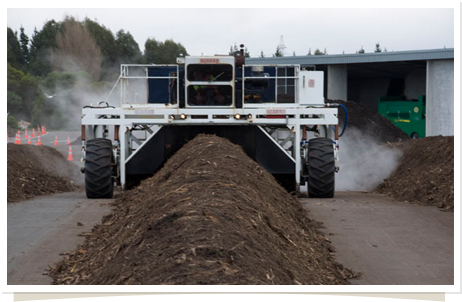 Waste Management, NZ's largest waste recovery company, is proud to own Living Earth, NZ's largest organic waste to composting operation, as part of its commitment to efficient waste processing in NZ. Our passion for composting has led us to the beautiful city of Christchurch, as well as the City of Sails. In 2009 the first household organics collection kicked off in Christchurch, from Christchurch homes to the Organic Processing Plant in Bromley. That’s delivering rich nutrient filled compost to the Canterbury farmers and now it's being used in local gardens and in the centre of Christchurch to aid stormwater management as the city rebuilds. Ever since those early days, we've focused on crafting the best compost on the market. This natural super food has everything: it gives your plants a turbo boost and helps build a healthier soil long term. That's why we decided to make it the base ingredient in all our mixes. Our kaupapa is based on the principles of sustainable development. Through reducing waste and creating products and services to restore soils, we will satisfy customers; reward our owners; support our staff; add value to partnerships and care for the environment and the communities we serve. Living Earth is pleased as punch to be NZ's main provider of organic waste processing services. We make our compost by collecting and recycling greenwaste and brewing it into plant-nourishing goodness. In fact, since we've processed well over a million tonnes of organic waste. By recycling we're proud to be doing our part for the environment - you could almost call us, wait for it, "Loving Earth"! For some more info about our compost, check out the Compost bit in our Products section. For more info on greenwaste, check out the Greenwaste section under FAQ. To date we've composted enough greenwaste to build a garden the width of a road from here to Australia! Every year we collect and compost over 100,000 tonnes of garden and food waste from New Zealanders who are committed to recycling. While we help you grow great gardens, we are also helping Auckland & Christchurch Local Authorities meet waste reduction targets. In 2012 Living Earth celebrated the composting of one millionth tonnes of organic matter – now we’re well on our way to achieving that 2nd million! Based on beautiful Puketutu Island, Living Earth operates an outdoor windrow composting system to process Auckland greenwaste. It takes 3-4 months to brew, in which time the compost reaches a toasty 55°C. We make sure it stays above this temperature for the life of the composting process. The compost site is surrounded by birdlife and native bush, and is also adjacent to the lovely garden on the Kelliher Estate, where the functions centre of Dawson's is situated. All compost made on Puketutu is used for Living Earth's bagged home gardener range, bulk supply to landscape supply yards,and commercial projects in and around the region. A small but increasing rural market is developing, particularly for the organic-certified compost. - Christchurch City Council has contracted Living Earth to operate its composting plant. - Andy Ellis, Crusaders player, gardener extraordinaire is our spokesman for our locally produced Canterbury Compost. - Central Landscape Supplies has 10 yards throughout Auckland selling a big range of bulk Living Earth products, including BLACKGOLD Mulch. - NZ Landscapes Supplies has 5 yards over Auckland, selling Living Earth bulk products. - Kings Plant Barn has contracted us to supply house brand compost to its chain of leading garden centres. o Motutapu Island's brilliant revegetation project, that is now well established, has just played home to the first takahe released there. Since late last century all Living Earth Garden Mix sent there has been carefully packed on a predator-free ferry to arrive at its destination for use in growing the NZ plants you see on the Island. o Garden to Table - Living Earth compost products have grown thousands of vegetables in school gardens under the Garden to Table project. Living Earth is proud to support young gardeners learning to grow and cook healthy food in both Christchurch and Auckland.